In many ways, the 2019 battle for Bijnor will provide the first primer on social acceptability and cohesion for the SP-BSP and RLD alliance. Bijnor: After the rough and tumble of Uttarakhand hills, the mighty Ganga settles down to a languid pace as it enters Uttar Pradesh from Bijnor — a district tucked away in the far north-east of the state. In the last four decades, Bijnor's unique demography has given birth to some epic electoral battles and social experiments which have indelibly altered the contours of heartland and national politics. In many ways, the battle for Bijnor this time will provide the first primer on social acceptability and cohesion for the SP-BSP and RLD alliance. The constituency has all three communities which form the support base of Gathbandhan constituents -- Muslims, Chamars and Jats. Under the gabled canopy of corrugated iron sheets in Rajesh Marriage Hall at Bijnor Khatauli Road, a coordination committee meeting of the gathbandhan allies has been called. Local leaders from all three parties sit on the podium and take turns to seek support for their joint candidate. Coordination committee meeting of the gathbandhan allies in Bijnor. "Hindu bhaiyon ko namaste aur Musalman bhaiyon ko salam," greets local SP leader Salim as he takes the mike. "We have to ensure that people go out and vote on the polling day," he says, before handing over the podium to a BSP leader. At the gate outside, BSP coordinator Rajesh with a diary in hand tick marks all the villages and communities that have arrived for the coordination meeting. "This Vidhan Sabha falls in Muzaffarnagar Lok Sabha constituency. RLD leader Ajit Singh is our candidate here,” Rajesh informs. So are the Jats voting for the alliance in Muzaffarnagar? 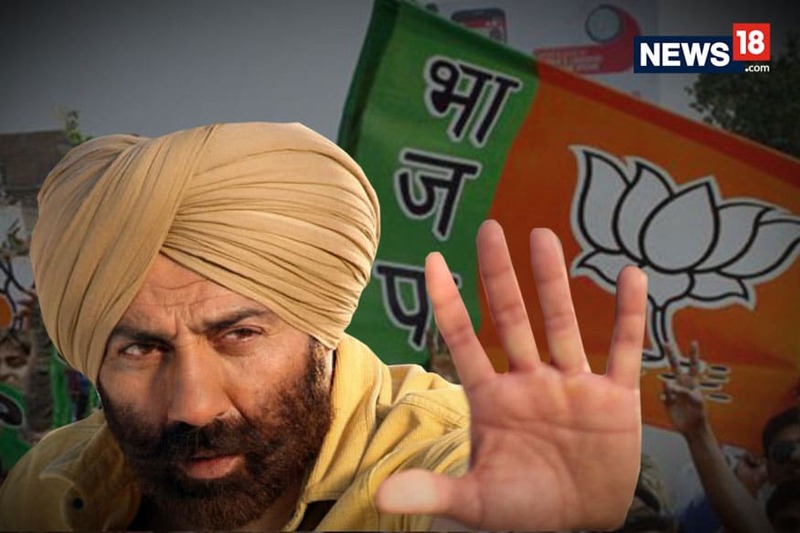 The sitting BJP MP Sanjiv Balyan, who is pitted against Ajit Singh, is also a Jat. "We are expecting a substantial support from the community,” he says. The Jat mobilisation for gathbandhan hits a rumble strip the moment one crosses Choudhary Charan Singh Barage on Ganga. In Bijnor Lok Sabha seat, the BSP is in a direct contest with the BJP. The gathbandhan candidate is Maluk Nagar, a Gujjar and an industrialist from Noida. Nagar struts out of the BSP office surrounded by a posse of personal bodyguards in black t-shirts and denims. His first stop for the day was Samajwadi Party office in downtown Bijnor. 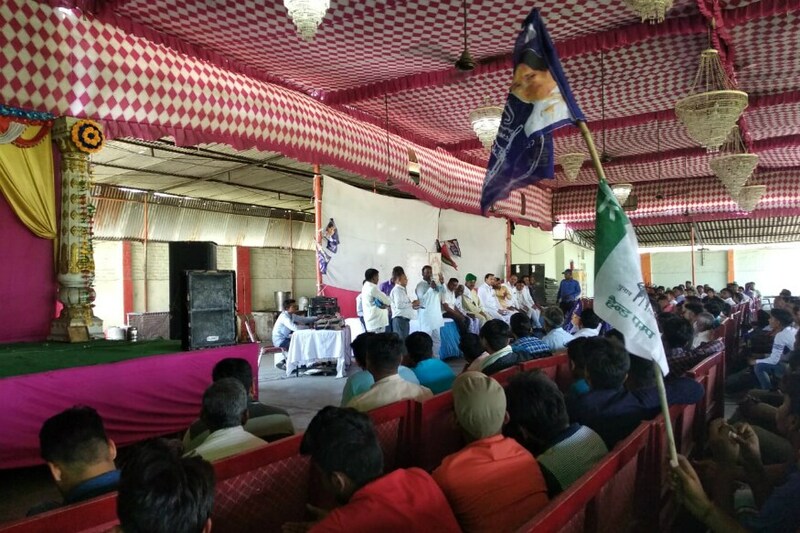 "The BSP will be seeking to get support from Gujjars, considering Maluk Nagar is the only candidate from the community in this constituency," says Suryamani Raghuvanshi, editor of popular Hindi dailies Bijnor Times and eveninger Chingari. With the BJP re-nominating Bhartendra Singh, gathbandhan here is seen to be exploiting the Jat-Gujjar fault line. It is also a tacit admission on the part of anti-BJP front that Ajit Singh may not be able to bring in substantial Jat support outside constituencies where RLD is contesting as part of the alliance. So going by the demographics, it is hardly surprising that the BSP has sought to experiment here with a candidate of an OBC caste socially compatible with Muslims and Dalits, which together form two biggest voting blocks in the constituency. There have been instances in the past where the BSP has shown ability to stitch up a winning combination with the support of the two communities. BSP leader Mayawati won her first Lok Sabha election from Bijnor in 1989, a seat where BSP successfully mobilised the Dalits and Muslims in its formative years. It was a victory that marked the beginning of end of Congress's support base among Dalits. It was a victory which came about after a long struggle and many a failure, including one in epic by-polls of 1985 when Babu Jagjivan Ram's daughter, Meira Kumar, contested to defeat Ram Vilas Paswan and then a young BSP leader, Mayawati learnt the tricks of the trade. Thirty five years later, in the organisation build by the BSP in UP, its cadres and workers are the glue that are keeping the alliance together in the Lok Sabha elections.